Ukraine, with the hands of civil society activists, cut off electricity supplies from mainland Ukraine to the Russian-occupied Crimea; announced a temporary suspension of purchases of the Russian gas; and shut the its airspace for transit aircraft of its northern neighbor; while the hryvnia seems to have found a delicate balance after some turbulence – these are the main economic news of the past week. The past week was marked by encouraging signals of improvement of Ukraine’s anemic economy. Economy Ministry reported that the GDP decline in the 10 months of the current year amounted to 11.8%, while the the year-end decline may slow to 10% with the industrial production falling 13.5-13.7%. According to the Ministry, all industries show positive trends of recovery, particularly transport, mining and food industries. It is worth noting that the Cabinet had earlier considered three scenarios of development of the Ukrainian economy in 2015, projecting the GDP fall between 11.9% and 5.5%. The National Bank of Ukraine forecast 7.5% drop. At the same time the key rating agencies, as well as Ukraine’s major creditors predict the 2015 economic decline to reach 9-12%. We shouldn’t forget that in 2014 the Ukrainian economy contracted by 6.8%. This means that the country needs to walk quite a long path to full economic recovery. Both the State Statistics Service, and the NBU confirmed this conclusion last week. According to the SSS, Ukraine’s large and medium-sized enterprises (excluding budgetary institutions) saw in January-September 2015 a nearly $184 billion loss before tax, which is 9.4% more than the same period last year. In turn, the NBU released data on losses of operating banks over the 10 months of this year: they reached $56.3 billion, whereas at the end of 2014 the national banking system suffered nearly $53 billion losses. 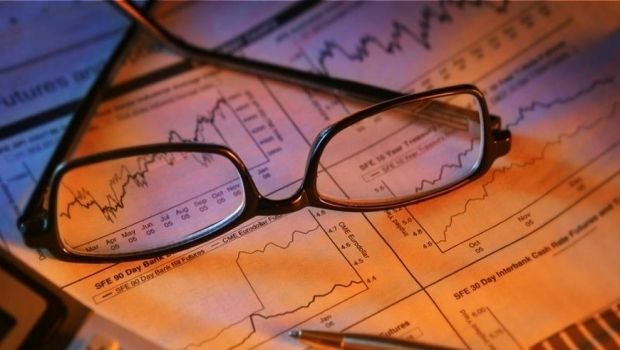 Last week, the interbank forex market found its balance, according to the NBU. After almost a month of U.S. dollar’s attempts to escape from the p corridor 21-23 UAH / USD corridor when the quotations came close to the mark of 24.2 UAH / USD, the NBU began interventions, in order to stabilize the situation. The regulator started to regularly sell in the market small amounts of currency. On Wednesday, November 25, the central bank triumphantly reported that the auctions for the purchase and sale of foreign currency on the interbank market were not held, and the supply and demand equalized without the regulator’s assistance, while the hryvnia strengthened in the course of trading. On Friday, November 27, the hryvnia quotations to the dollar by the middle of trade settled at 23.85 / 23.95 UAH / USD. Meanwhile, currency appreciation continues in the cash currency market, as the bankers set the rate of cash currency exchange and conversion rates for payment cards at 25-26 UAH / USD. Financial experts explain that the current interconnection between the cash market and the interbank currency market has decreased significantly. The banks set the cash exchange rate close to the "black" market, to encourage people to take the currency to banks instead of the "black" market. "The consequence of the NBU’s limitations is that banks have virtually no opportunity to buy the currency on the interbank market for their own needs. The banks may buy foreign currency to cover short currency positions, only buying cash currency from the population. For their clients to sell cash currency, the banks have to set the currency purchase rates close to those on the "black" market," director of the center for treasury sales operations at BNP Paribas Group Oleksandr Duda has told UNIAN. The Ministry of Finance considers the recent weakening of the hryvnia as seasonal, and predicts the strengthening of the hryvnia by the New Year holidays. 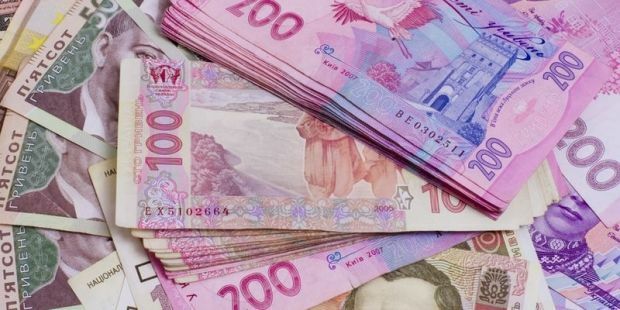 During the hour of questions to the government in the Verkhovna Rada, Deputy Finance Minister Ihor Umansky added that the excess liquidity of the hryvnia puts pressure on the market, in connection with billions-worth payments by the Individuals’ Deposit Guarantee Fund. "But I am sure that this will end closer to the Christmas holidays. Now it [excess liquidity of the hryvnia] has a temporary nature," said Umansky. The past week has become a landmark in the struggle for Ukraine’s energy independence. Prime Minister Yatsenyuk announced a complete halt in purchases of Russian natural gas, and a switch to imports from the EU market. A few years ago, such a decision by Kyiv would blow both the national and the European information space into pieces. However, due to the measure taken over the past year and a half to reduce gas consumption, at the same time piling up sufficient amount of gas in stocks, as well as creating an effective system of European imports, Ukraine’s move to suspend purchases of gas from Russia surprised neither the fellow Ukrainians, nor the Europeans who receiving part of the needed fuel from the Ukrainian transit pipeline. The only ones annoyed were the Russian officials who are accustomed to using gas as an instrument of pressure on Ukraine. Gazprom chiefs tried to put a scare on the faces of foreign consumers with the statements about a threat to transit supplies due to suspended purchases, but they were quickly put in place by the head of the Ukrainian government. 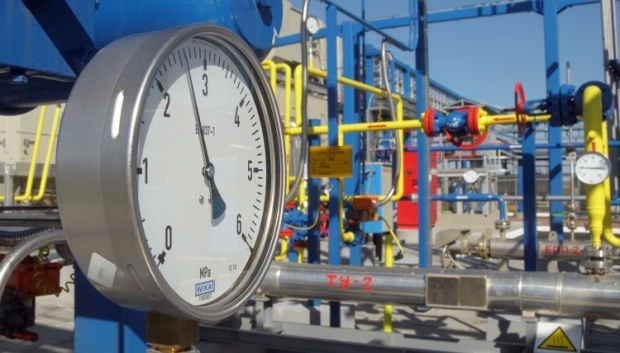 "The government has decided to instruct Naftogaz to stop buying Russian gas. Because they [Gazprom] got it wrong, it's not they who don’t deliver gas to us, it’s we who don’t buy gas from them," said Yatsenyuk at a government meeting. He stressed that this decision was made because "the price offers of our European partners are much better." "A total consumption of gas in Ukraine is already reduced by 20%," said Yatsenyuk. Earlier, head of Naftogaz Andriy Kobolev said that Ukraine will buy Russian gas at minimal volumes in December. However, as highlighted by the state energy holding, Ukraine will continue to transport Russian gas to European consumers in full. "Over the past year and a half, we showed that we could ensure unhindered transit of Russian gas regardless of whether it is supplied to Ukraine or not, both in the summer and in the winter period," said Naftogaz in a statement. In addition, Energy Minister Volodymyr Demchyshyn hastened to assure that there is no risk of collapse of the upcoming heating season, because the 16bcm gas reserves provide for its safe passage. "There is more than 16 billion cubic meters [of gas] in storages now. That's enough to get through the cold season with deliveries only from the European Union. There is no dependence on Russian gas supplies. The situation is under control," he said. By the way, the Energy Ministry expects that the price of Russian gas for our country in 1Q 2016 will amount to $210 per 1,000 cubic meters (now it’s $227 per 1,000 cubic meters). "We expect [it to be] somewhere in the neighborhood of $210," said Demchyshyn. The minister expects the average annual price of Russian gas for Ukraine in 2016 in the corridor of $207-208 per 1,000 cubic meters. According to him, the price can be reduced due to the prospective cost of gas from Europe in the next year at the level of $175-180. In this regard, the official Kyiv urged all energy partners, including Russia, to build a relationship solely on mutually beneficial terms. The Naftogaz leadership has offered its colleagues from Gazprom to agree on the terms of Russian gas deliveries in 1Q 2016 at the negotiating table before December 20. In response to the explosions at the power transmission lines in southern Ukrainian Kherson region a week ago, allegedly by the Ukrainian and Crimean Tatar civil society activists, leading to a total power blackout of the annexed peninsula, Russia has banned coal supplies to Ukraine’s power plants. The thing is, it’s the Ukrainian coal, in fact, from the mines in the areas of eastern Ukrainian Donbas occupied by the Russians. 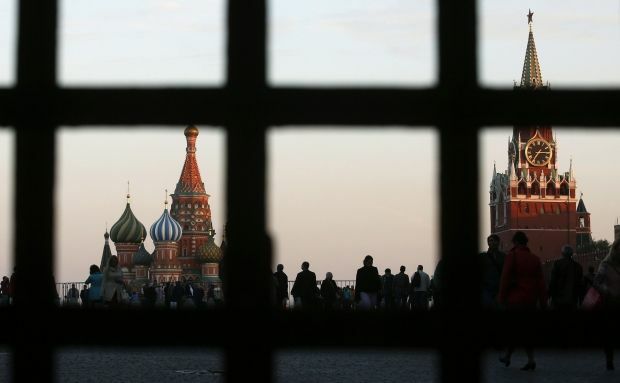 The Kremlin curators of the occupied areas of Donbas did not make any excuses and ordered to stop the deliveries without further ado, immediately following the Crimea blackout. They are not saying anymore that they have no influence over the self-proclaimed pseudo-republics, which are actually terrorist organizations. Energy Minister Volodymyr Demchyshyn said at a parliamentary session that the existing stocks of coal in warehouses and at the thermal power plants will be enough for a month of stable work. However, the minister added, the issue of coal supply will require new solutions in the future. 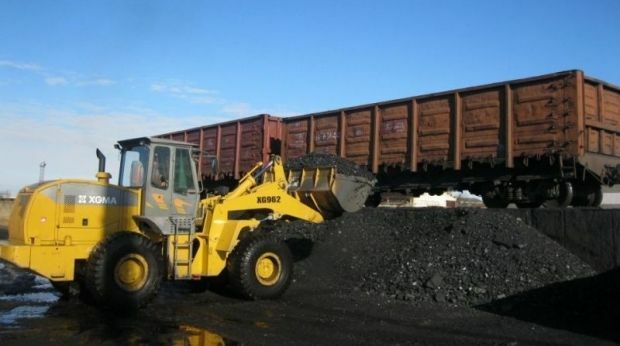 Demchyshyn also said that in December, Ukraine expects coal deliveries in the amount of 250,000 tonnes from South Africa. "These 250,000 tonnes give us confidence that in the next 45-50 days, our energy system will be in a stable energy process. During these 50 days, it’s possible to find a solution for coal supplies from South Africa and from other suppliers," he said. Meanwhile, at a meeting of the Anti-Crisis Energy HQ on Friday, November 27, claimed the lack of available coal reserves and demanded that the relevant officials provide a clear Action Plan to provide for the stable operation of the country’s energy grid in the face of fuel deficit. "According to the information I've got, it is clear now that there are not enough coal stocks. This is what I warned about three months ago. I demand a plan of immediate measures for us to ensure the stable operation of the country's power grids," said Yatsenyuk. “The state has allocated the necessary funds, and they should not just be allocated, we need coal reserves." The prime minister noted that Russia's attempts to block the coal supply to Ukraine were evident even in the summer. "Russia will be blocking coal supplies, and it was discussed three months ago. Russia's goal is complete destabilization of the situation in Ukraine," stressed Yatsenyuk, demanding an Action Plan for the emergency period. After the meeting of the Anti-Crisis Energy HQ, Demchyshyn told the reporters that coal supplies from the ATO zone and Russia to the Ukrainian power plants is be possible when one of the four power transmission lines in the direction of the annexed Crimea is restored. "When the power line toward Tytan [a 220 kV Kakhovska-Tytan power transmission line] is restored, we will solve the problem with coal. Thus, we will solve our issues, not theirs," said Demchyshyn. According to him, repairing the power transmission line will allow to cover the basic electricity needs of the peninsula. The Minister noted that the Cabinet fully supports the resumption of power supply to the peninsula, and maintenance crews can finish restoring power lines "Kakhovskaa-Tytan" in just 3 hours after getting access to the site. Last week a new chapter saw the light of the story with Russian embargo against the Ukrainian food products set to be introduced on January 1, 2016, which, according to government experts, will lead to $600 million losses. PM Yatsenyuk pledged mirror response to the sanctions of the aggressor state. "I want to clearly point out that the Russian threat to impose an embargo on Ukrainian goods from January 1, 2016, will see a similar, mirror response. For every Russian decision to establish an embargo against Ukrainian goods we will have a similar decision on the establishment of Ukrainian embargo against Russia," said Yatsenyuk. According to the Economy Ministry, the volume of Ukrainian exports to Russia does not exceed 12.4%. The volume of food exports that have been dropping in the last few years amounts to about 2%. In this regard, Economy Minister Aivaras Abromavicius drew attention to the fact that the embargo will hit Russian consumers primarily. Besides, they will say good-bye not only to the quality European foodstuff, but also to their favorite Turkish fruit and vegetables. Last week Russia managed to break ties with another Black Sea neighbor, Turkey. The U-turn in relations followed the downing of the Russian Su-24 bomber near the Syria-Turkey border by the Turkish Air Force after the Russian pilots violated Turkish airspace, as Ankara claimed. The eclipse of the retaliatory measures last week was Vladimir Putin signing a decree imposing a number of economic sanctions against Turkey. The experts rightfully noted that the new conflict jeopardizes the Turkish Stream pipeline project which, as many feared, could threaten Ukraine’s regional role as a transit actor." The Ukrainian experts also believe that the Russian share in the Turkish market of grains and oilseeds can be comfortably occupied by the Ukrainian agricultural producers. "We supply a little there [to Turkey]. Russia had pushed us out of the market because they offer wheat in small quantities, which was convenient to deliver. Given there’ll be restrictions, Ukraine can regain its position in the Turkish market," Yelizaveta Malyshko, the analyst at UkrAgroConsult, has told UNIAN. Andriy Blinov, the economist, head of Uspishna Kraina [Successful Country] project also believes that Ukraine should not miss the bus and increase the supply of its products to the markets of Turkey with 78-million population. "Turkey is our chance... Of course, Russia supplies include considerable amount of gas and the goods Ukraine won’t be able to deliver. However, the market is being in some way freed," he said. Mutual airspace blockade between Russia and Ukraine saw a new twist last week. After more than a month of a suspension of direct flights between the once-friendly countries, the Cabinet announced a total ban on transit flights of all Russian airlines via the territory of Ukraine. The ban came into effect on November 26 midnight. "We expect that Russia will cancel its decision to ban Ukrainian companies from flying to Russia and through the territory of Russia, but Russia, as usual, did not agree to the legitimate conditions of the Ukrainian side. 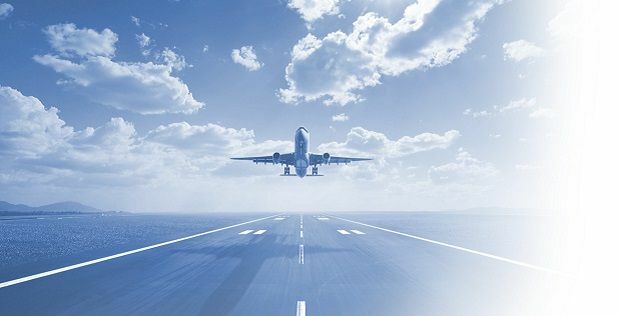 That is why the Ukrainian government has decided to impose a ban on all transit flights of all Russian airlines through the airspace of Ukraine," said Yatsenyuk, adding that the decision was taken as to avoid possible Russian provocations in the Ukrainian sky. Given Russia’s long-lasting (21 months) military aggression against Ukraine, closing the Ukrainian airspace is a measure which was long-awaited, to put it mildly. It is worth noting that the Russians closed its skies for the Ukrainian airlines in August 2014, citing security measures after the downing of MH17 over Donetsk region. Of course, mutual airspace blockade is mutually unprofitable, as both countries are losing passengers and money. But there are other priorities in the spotlight today – security and strategic interests. In this regard, market players have little confidence in the speedy restoration of air links between Ukraine and Russia. "With regard to the restoration of direct flights, I believe that this will be an issue for a long period of time. I would like to be mistaken, but the situation is of a long-term nature. Two fundamental, opposing points of view of the two countries have confronted," the president of Ukraine’s largest air carrier, Ukraine International Airlines, Yuriy Miroshnikov has said. And he is right, because the sky turned into a subject of grand political bargaining in the wake of sanctions. The start of the first month of winter promises to be as full with significant economic news. In particular, the government is expected to submit to the Verkhovna Rada the draft 2016 state budget and the tax reform project. If adopted, those bills will lay the foundation for economic growth as early as next year.